We are in an interregnum. 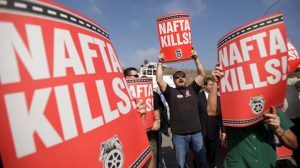 The old regime of international economic agreements is dying. We are surrounded by morbid symptoms of its demise. The new is yet to be born. 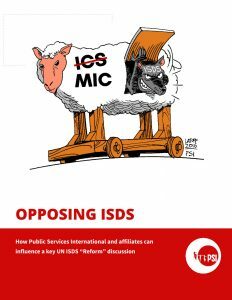 To preserve the gains made by trade unions and our allies with governments around the globe, PSI with the support of its affiliates wants to influence these global discussions with some targeted advocacy with key national governments in the next four months and into 2019. 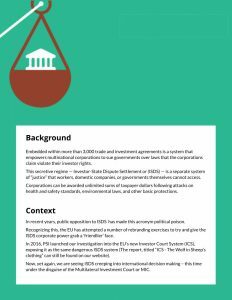 We are seeing ISDS creeping into international decision making, this time under the disguise of the Multilateral Investment Court or MIC.